Offbeat cinema also known as parallel cinema found it’s wings in early fifties. Yes, the black and white era of television where prominent filmmaker Satyajit Ray started this trend. And from there on there is no looking back. Different varieties of films, genres, art form have been tried through offbeat cinema and that too with a modest budget. As time flied by many filmmakers did choose to raise their budget and offer interesting, hard-hitting films affecting various strata of our society. And the trend still continues. So here I am presenting the five offbeat films of present era which according to me are must watch. Udaan (2010) – One of the most intitutively written and lovingly crafted film Udaan, is packed with emotional, resonating moments that one goes through as a kid chasing dreams. A strong story telling and a perfect visual setting makes it even more wonderful to experience this flight apart from some strong hard hitting performances. A truly ‘coming of age’ film which is definitely a must watch for every individual. 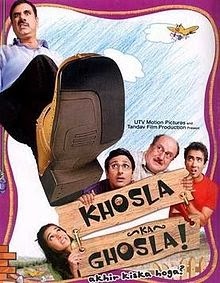 Khosla Ka Ghosla (2006) – Khosla Ka Ghosla is a light hearted movie on how illlegal land grabbing takes place and the tricks applied to release the land from the land grabbers. A film which almost every middle class individual can relate to, as sometime in their lives they must have or may faced such situation. The film also won a national award for best feature film in Hindi and it speaks about the performances, story and screenplay. A must watch movie and a must to be included in every offbeat films listing. My Brother Nikhil (2005) – This film is about the protagonist Nikhil, a state all time swimming champion, the trials and tribulations he faces when he is diagnosed by HIV. How his life alters for the worst and how he fights it along with his sister and friend, the only two persons by his side. With very emotional, heart rendering moments this film is an eye opener for the entire society on how an HIV infected person is treated and how he should be treated. 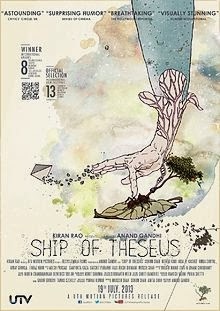 Ship of Theseus (2013) – This film explores the questions of identity, beauty, justice, meaning and death through the stories of an experimental photographer, an ailing monk and a stockbroker. The movie through its characters asks you very tough questions on the choices that you make as an individual. The move sails through effortlessly with wonderful performances all round and also touches hearts. 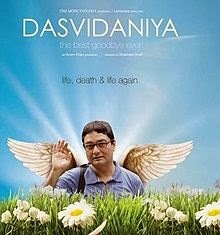 Touted to be one of the most significant film to come out from Hindi Cinema is definitely a must watch. Just like the movies above, there is another offering in Hindi Cinema in the form of Miss Lovely. You can check the trailer of the film below.